Housebroken: No, but I’m working on it! Single fawn male looking for a loving family. Hello my name is Ozzie. 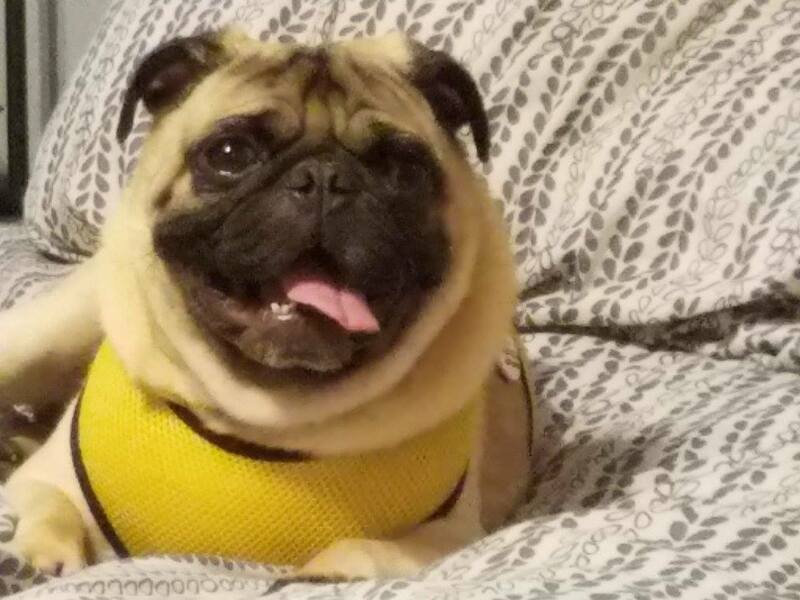 I am a 4 1/2 year old active and healthy pug. I have no issues getting around as I run up and down stairs and enjoy going on walks. I have three foster fur brothers who I get along well with. I LOVE my foster mom, dad, sister, and two brothers. After spending 4 1/2 years in a mill I have now learned what love and snuggles are and I just can’t get enough of them. I would be happy to share a family with fur siblings but would do just fine on my own where I could get all the attention. Have I mentioned, I love attention? If you are looking for someone to love and to love you back, I am your guy. Interested in adopting? Ozzie’s minimum adoption donation is $350.